Retired (October 2006), but keeping an office on campus. Raised in Iowa in an area of woods, near a river and lots of water, living on and in the water since childhood. Became interested in animals (of many kinds) and biology early in life (at least by the age of 3 according to parents and photos). Canoe- and fishing-guide (in Iowa, Minnesota, and Ontario) and worked in sporting goods store during high school and undergraduate college. Family of teachers including both parents and all (3) siblings. Education and the process of learning are major interests. Became interested in birds of prey early and started working with eagles in Ontario, Canada, in 1959. Interested in photography during most of life. Active in scuba diving (certified, NAUI, 1991). Research, work and experience: population dynamics, animal behavior, physiology (particularly neural, muscular, and cardiovascular), science education, conservation, statistics and data analysis, and combinations of the above; bald eagles and many other species of eagles, including the Philippine eagle, other raptors, and other groups of animals including other birds, mammals, snakes, fish, insects, marine/aquatic invertebrates, and fossils (particularly ammonites and other fossil cephalopods). Travel: from arctic Canada to the tropics of Asia, Caribbean, and throughout U.S. Much work collaborative with colleagues and graduate students. Wife is a partner in research and we assist each other's projects. Taught a wide variety of biological subjects from freshman level introductory general and anatomy/physiology courses, upper division specialty courses, to graduate, Master's and Ph.D. levels. Very diverse interests in biology from molecular through structure and function/physiology, and embryology to ecological and population dynamics, with a wide range of organisms. Primary research area has been birds of prey, particularly eagles (working with bald eagles for around 50 years, incl. as a team leader for the bald eagle recovery, and Philippine eagles for 30 years, was on Johnny Carson show with an eagle [over 30 years ago] and invited to White House to assist with a Presidental speech re eagle matters), but grad students have been involved widely with many types of animals and topics, also published in other areas, particularly fossils, and personal interests in biology are all over the map. If it has (or had) DNA, it's cool! 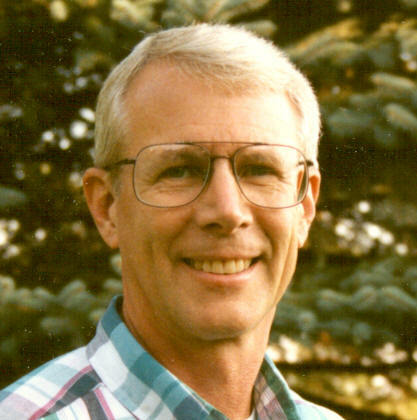 At NDSU since 1973 (retired October 2006, after 33 years). Continuing to be active in the department as Emeritus Professor. Further details: see Summary or Full curriculum vitae. Wide variety of college/university courses in zoology/biology since 1962, while undergraduate and graduate teaching assistant and at NDSU. Note: now retired and no longer teaching classes. John Schulz (1976) -- population dynamics of gray partridge in ND -- Western Plains Consulting, Inc.
Roger E. Johnson (1978) -- deer surveys in ND -- ND Game & Fish Dept. Shannon Garner (1991) -- aspen management for ruffed grouse -- continued with Ph.D. work in Montana then ...?